Most of you may associate red with the color of love (think, Valentine’s Day), but I invite you to get and cherish a heart-shaped, pink rose quartz, which has been hailed as a powerful healing crystal and as the love Stone. 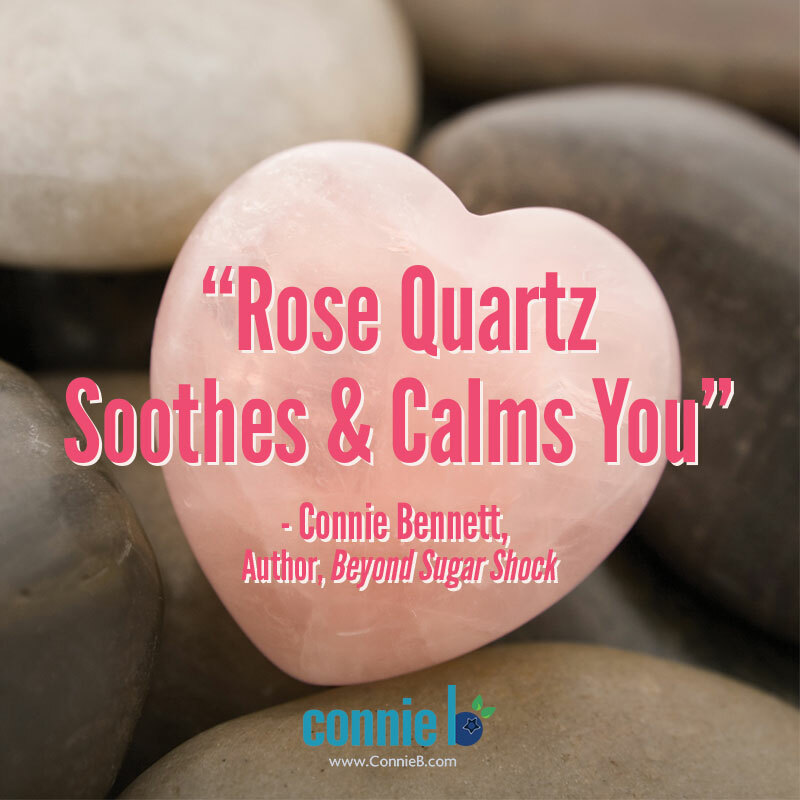 Rose quartz can be your powerful ally in a number of ways. To begin, it can have a calming, peaceful, soothing effect—which, of course, is far better than the temporary high you can get from sweets or quickie carbs. When you see pink, you evoke healing, sweetness, and safety, experts say. “Focusing on pink is a way to do something healing and loving for yourself,” suggests herbalist and nutritional consultant Brigitte Mars. Feng Shui experts also use pink to soothe the energy in a room, especially in the southwest area of your space, which is is connected to love and marriage. Think about it. When do you eat sugary foods? Sure enough, you may use sweets as a substitute for love, as many of you have confided in me. If you’d like to feel love — whether or not you have a special someone this Valentine’s Day — I invite you to rely on rose quartz. Music, as you know, can calm you down, help you tune in, and invigorate you. Indeed, music can and should be a vital part of your journey to health and wellness. For my part, after my mother died, listening to lots of music really helped me to break through my grief, shock, PTSD, despair, anxiety, turmoil, etc. Indeed, The Power of Music is astounding and far-reaching, as Elena Mannes reveals in her book of the same name, on NPR and to audience members at the Westport Library. For instance, did you know that music can lower stress, reduce depression, help your heart health and protect your metal sharpness? Today’s cheap viagra 100mg worldwide shipping drugstore Woo-Hoo, Feel-Good Tune — a feature I revived yesterday on my Facebook fan page after my much-needed healing hiatus — is the awesome “Bliss of Healing,” from the Pure Heart Ensemble. While at the Chopra Center recently to see Elizabeth Gilbert, Joan Borysenko, and, of course, Deepak Chopra, I discovered this enticing CD. As you’ll find, this melody is very, very soothing and healing. Pass it on. If you’re a parent, you probably get frustrated by the deluge of advertising for unhealthy foods and the dearth of quality TV shows, which promote healthy eating. 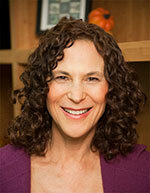 It’s time to get excited, you conscious, conscientious, health-oriented parents. Yummiloo, a fun and healthy-eating promoting TV show from veteran TV and film directors/producers Traci Paige Johnson and Caroline Baron, is in the works. With your help through Kickstarter, your children, your relatives’ kids or your loved one’s youngsters will be able to watch a food adventure animated TV show that will expose preschoolers to healthy eating through irresistible characters, stories and games. Pretty cool, right? Help make this awesome children’s TV show show a reality. . I invite you now to contribute to the KickStarter campaign for Yummiloo before the June 9 deadline. Now, learn more about Yummiloo below. Imagine if Willy Wonka’s Land of Pure Imagination were filled with healthy food instead of candy. Imagine no more! 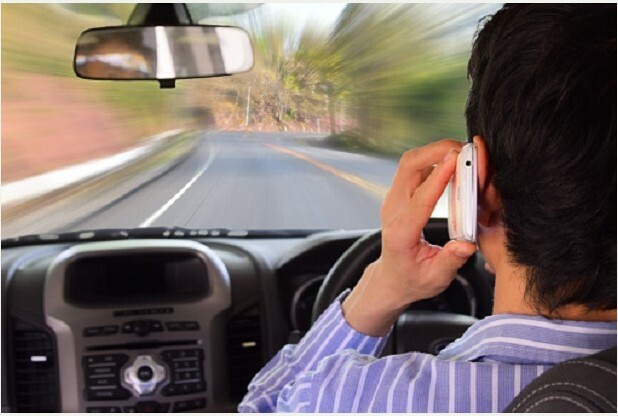 In short, do you drive while distracted? If so, you can end up dead, as last night’s episode of the ABC medical drama “Grey’s Anatomy” shockingly showed, much to the horror, disappointment, and devastation of fans of the 10-year old show. In the upsetting episode, actor Patrick Dempsey’s beloved fictional neurosurgeon character—aka “McDreamy”—did something appallingly inappropriate and incongruous for a talented brain doctor on TV (or a real M.D., for that matter). Dempsey’s Dr. Derek Shepherd drove while distracted, which triggered his untimely death. More specifically, after rescuing and helping four people from a massive car wreck that he witnessed, he leaned over to hunt for and then answer his ringing cell phone. But in those few seconds, he didn’t pay attention, a huge trucker sped towards him. McDreamy’s stupid split second decision to pick up his cell phone cost him his life. The four-wheeler came blazing out of nowhere and smashed into him, leading to his demise hours later. Please let us know how you’re doing. cheap generic viagra What are your favorite ways to get back on track? If you’re like millions of Americans, yesterday, you overdosed on candies, in large part, because Halloween is a sanctioned National Sugar Overload Day. 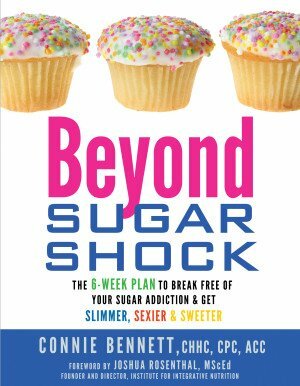 For years now — ever since 1998, when I kicked sugar on doctor’s orders — on The Day After Halloween, I hear from frustrated, disappointed, Sugar Shocked people, who want to know how to Get Back on Track. If you, like millions of Americans, pigged out on Halloween candies, you’re probably reeling from Sugar Shock — which means you may be feeling dizzy, headachy, sluggish, irritable or wiped out. http://trustedtabletsonline24.org/ trusted tablets 1. Drink plenty of water. That, of course, you probably know. Add some lemon, too, if you can. 2. buy now Ditch the Sweet Stuff or Hide it in Your Car Trunk. Please don’t keep leftover candies in your home. Temptation can lead to one bite, which, of course, can lead to many more. Now, if you’d rather not be restrictive with your kids because you feel that they’ll then want more candies, then ration them out. Let your childreen have 2 small candies per day. Then hide the rest in your car trunk or another place that’s not easily accessible. 3. Treat Yourself to Nutritions Meals. Given that yesterday you tricked yourself, today’s the day to treat yourself with nourishing meals. Think quality protein (free-range chicken, fish, etc. ), healthy fats (like a little olive drizzled over your dinner), and quality carbs (a salad and veggies). 4. Savor Sweet Potato & Sweeten with Cinnamon. If you find yourself craving something sweet today — which can be expected — try sprinkling some cinnamon on a cooked sweet potato or pumpkin. Not only is this combo yummy, but cinnamon, as a 2007 study showed, may lower your blood sugar after meals, (See the actual study here.) You also can add a dash of olive oil or flax oil, which makes your dish quite tasty. In fact, you can make this your dessert. 5. Sniff Away Your Cravings & Stress. Since today, you may be feeling especially stressed since you ate a lot of sugar-filled candies, try dabbing on some lavender, which research shows can diminish stress, which is a prime trigger for food cravings. The various chemicals in lavender — such as Linalol, linalyl acetate, geranyle, eucalyptol, pinene, limonene, cineole, phenol, coumarins, and flavonoids — work together by “ stimulating smell receptors in the nose, which then send messages through the nervous system to the limbic system.” That’s “the part of the brain that controls emotions,” according to The Mayo Clinic. 6. Join fitness and nutrition expert JJ Virgin, for for another livestream event with top health experts. JJ, whose new book, The Sugar Impact Diet, comes out next week, is following up her previous event on Thursday. Today, she’ll speak to cultured foods expert Donna Gates, along with nutritionist Christa Orecchio and Dr. Nalini Chilkov,, who will discuss sugar’s connection to cancer. A very special thanks to YouOffendMeYouOffendMyFamily.com for this entertaining graphic. 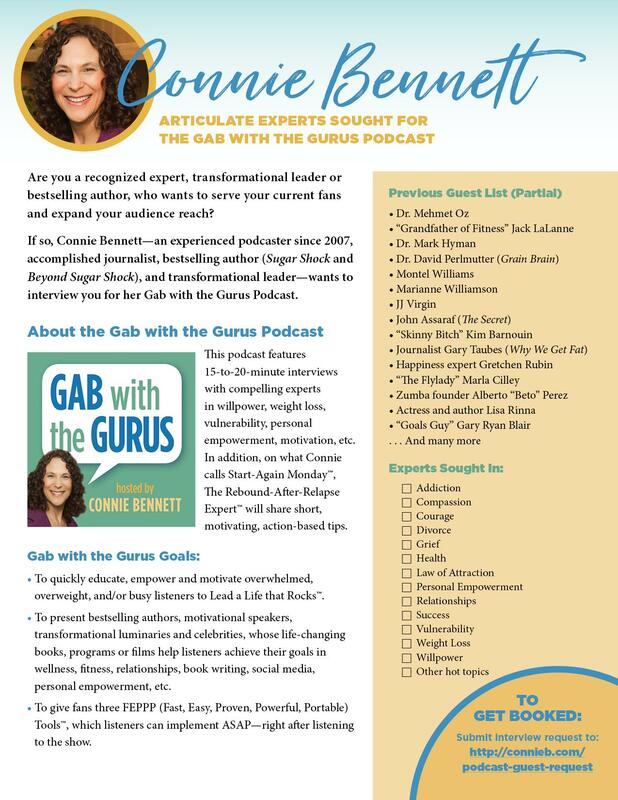 Personal Note from Connie: As you may know, I’m home now with a nasty flu, but I really wanted to help you Get Back on Track after Halloween whille I rest. Please let us know how you’re doing. What are your favorite ways to get back on track? You Can Retrain Your Brain to Prefer Healthier Foods! Join the Conversation: Does this news excite you, too? If you find it hard to say no to candies, cookies, chips, it may be because your brain is addicted to them, according to a new study. In short, your brain is actually hooked on junk food, which, of course, leads to weight gain and obesity and other harmful dieases. But promising news came out recently, which reveals taht you you can literally ‘reprogram’ your brain so that you not only break your food addictions, but you actually develop a preference for healthier non-fattening foods so you lose weight. For my part, I’m simply thrilled by this exciting news. You may wonder, though, is this just too good to be true? Not so! Some definitive proof this is possible came from a September 2014 study by scientists at Tufts University and Harvard Medical School. The researchers used functional magnetic resonance imaging to show how the brains of volunteers had been altered during a six-month experiment, during which they forsake high caloric foods for low caloric ones. Thirteen overweight or obese adults between the ages of 21 and 65 were placed in either an intervention group or a control group. The intervention group received 19 hour-long support group sessions during the 24 weeks in which they were taught how to use portion-controlled menus and recipe suggestions designed for high-satiety. The foods consumed in this plan were low-glycemic index carbohydrates along with high fiber and high protein (known as the idiet.) 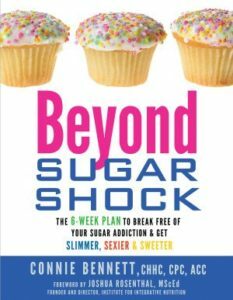 FYI, these are the foods I recommend, too, as you can discover in Beyond Sugar Shock. These foods” have “a slower digestion profile and reduction fluctuations in blood glucose that could reduce hunger,” according to the study. The control group received no such counseling or support. What’s intriguing is that before the experiment began and six months later, on its completion, all study participants underwent the fMRI scans as they were shown 40 food and 40 non-food images. The foods were half high caloric and half low caloric. While being scanned, the volunteers rated the desirability of the images they saw on a scale of 1 to 4, with 1 being undesirable and 4 being extremely desirable. Those who had gone through the six months of intervention measured significantly less response in the striatum region of their brains (an area governing reward processing) when shown the high caloric foods and more responsivity when shown the low caloric images. It was as if the brain charges they previously got from these foods had been disconnected. They also achieved significant weight loss, whereas the control group lost little weight and still had no control over how their brains craved certain unhealthy foods. One of the study co-authors, Sai Krupa Das, Ph.D., who is with the United States Department of Agriculture Human Nutrition Research Center, observed how the weight loss program they used with high-fiber, low glycemic foods worked hand in hand with behavior change education to bring about the remarkable changes in weight and brain activity related to cravings. Sources: “Training your brain to prefer healthy foods.” Tufts University. http://medicalxpress.com/news/2014-09-brain-healthy-foods.html. Join the conversation. Please tell us what you’re doing as part of The 31 Days of Kindness and Sweetness Campaign. How will or are you being kind and sweet to others? When was the last time you did something really kind and sweet for someone else with no expectation of getting anything back in return? Have you noticed that when you give freely to other people or organizations that you tend to forget or at least ignore your pressing problems? Plus, you feel so good for being so generous. Now, for those of you who ned to weight , your frustrations about about the number on your bathroom scale won’t seem all that important when you’re focused on giving. Plus, if you’re a sugar or carb addict, your plight will fade away or at least greatly diminish when you do something sweet for someone else or several something elses. In fact, being kind and sweet makes you feel so good that it’s a lot easier and more enjoyable to eat healthy, wholesome, unrefined, natural foods that don’t contain a lot of sugar, gluten, salt, fat or other additives. Anyhow, I’m so excited to invite you to join me for The 31 Days of Kindness Challenge. Although I’d love to be able to claim this fabulous idea as my own, I can’t. This great suggestion for The 31 Days of Kindness Challenge. comes from speaker/communicator Ryan Avery,, who is co-author with Jeremey Donovan of Speaker, Leader, Champion: Succeed at Work Through the Power of Public Speaking, featuring the prize-winning speeches of Toastmasters World Champions. FYI, please note that I’m personalizing the experience. Although I plan to do kind and sweet things every day for 31 days (and probably longer) and I’m printing out Rya’ns list, I won’t t follow his guidelines exactly. Rather, I’ll use them as suggestions. Furthermore, with Ryan Avery’s blessing, I hope, for my fans, I’d like to rename this The 31 Days of Kindness-and- Sweetness Campaign, because you’ll be focused on giving or doing something kind and sweet instead of stuffing your face with something sweet. Now, let me tell you how I plan to kick off tomorrow, day one of The 31 Days of Kindness-and-Sweetness Chaallenge. 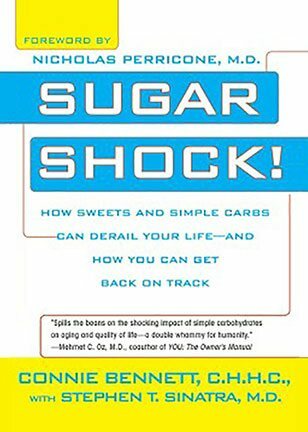 At last, I’ll write a thank you letter to the amazing pediatric endocrinologist Dr. Robert Lustig for the valuable work he’s done to raise people’s sugar consciousness and to improve the health of the planet. More importantly, though, along with my thank you note, I plan to make a donation to his Institute for Responsible Nutrition, whose mission is to reverse childhood obesity and type 2 obesity. This is something I’ve been planning on doing for a while. In fact, my envelope (without a stamp attached yet) has been ready for weeks. So tomorrow, thanks to Ryan Avery’s polite nudge, I’ll finally do this. As you probably already know, the remarkable Dr. Lustig is acclaimed for his powerful Sugar: The Bitter Truth lecture, which has had nearly 5 million views on YouTube. In addition to watching the video below, I urge you to get Dr. Lustig’s remarkable, bestselling book, Fat Chance: Beating the Odds Against Sugar, Processed Food, Obesity, and Disease. So will you join me in The 31-Days of Kindness-and-Sweetness Campaign? To participate, first get guidance from Ryan Avery, who offers great ideas on how to join in. Then, will you join me by kicking off your involvement in The 31 Days of Kindness-and-Sweetness Campaign tomorrow by making a tax-detuctible donation to Dr. Robert Lustfg’s important Institute for Responsible Nutrition? Join the conversation. Please tell us what you’re doing as part of The 31 Days of Kindness-and-Sweetness Campaign. How will or are you being kind and sweet to others?